Embrace Starlet style! 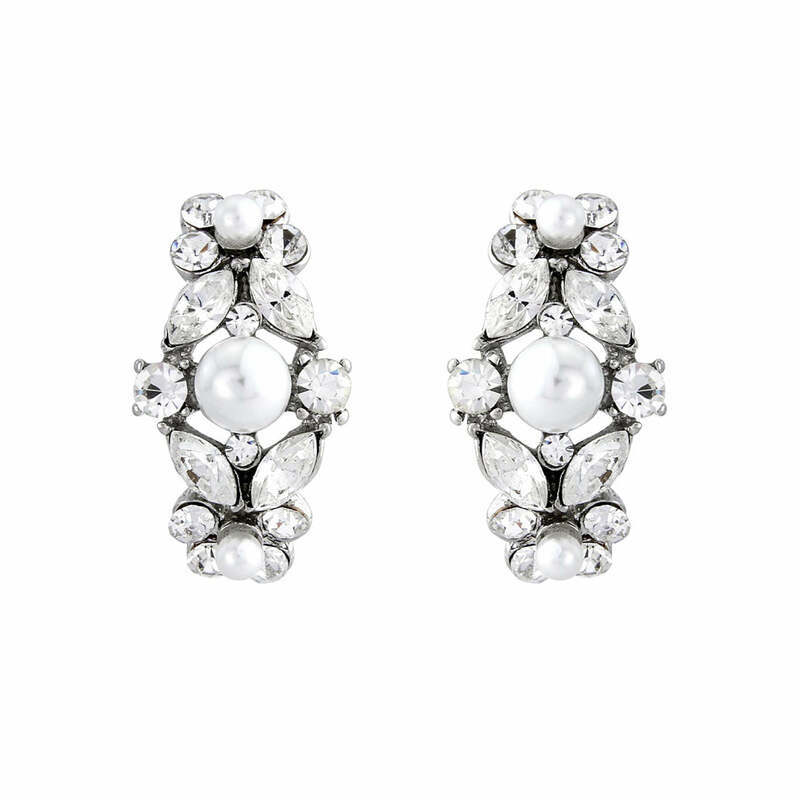 Perfect jewelled earrings for ladies who adore bygone glamour. With jewelled clusters, our beautiful Pearls of Splendour Earrings take inspiration from diamond and pearl jewellery of the late 1940s and early 1950s. A curved design set on silver tone, encrusted with an array of sparkling clear Austrian crystals and delicate ivory faux pearls they ooze classic, timeless glamour from a legendary era. For a dramatic bridal style team with the coordinating Pearls of Splendour Bracelet and Necklace or for wear alone for understated elegance. The perfect wedding accessory for brides who adore vintage glamour of bygone decades, our Pearls of Splendour Earrings look divine worn with an elegant 1940s style fitted gown. For added Hollywood Starlet glitz, team with a statement bejewelled headpiece worn at the side of an elegant up-do.